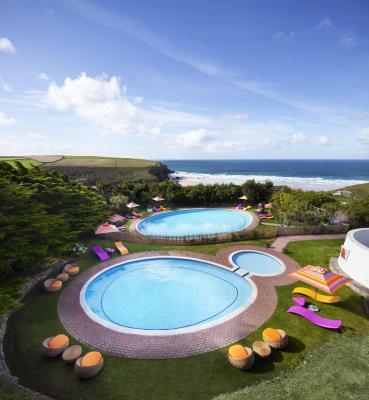 Lock in a great price for Bedruthan Hotel & Spa – rated 8.7 by recent guests! The Spa was very good, as was the food and the staff. Friendly helpful staff. Tasty fresh food. Stylish comfortable and relaxed. The friendliest and welcoming staff I have encountered for a long time. 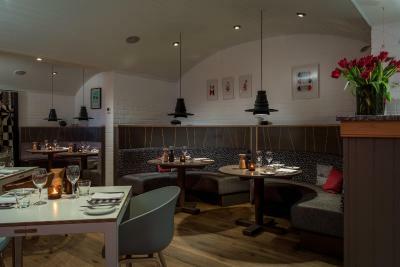 The food in the Herring restaurant was superb, along with the efficiency and welcoming staff which made my stay seem not so alone. Thank you to all. Hotel staff were polite, approachable and informative. Spa staff were particularly welcoming and tailored my pregnancy spa session perfectly. Facilities were excellent. Well tailored to families. A most Comforting environment with outstanding views . We ate delicious food with great service. Great views and near really good beaches. Hotel a bit of maze. But beds were good all very clean. staff very good. 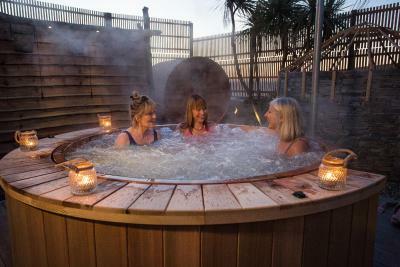 Bedruthan Hotel & Spa This rating is a reflection of how the property compares to the industry standard when it comes to price, facilities and services available. It's based on a self-evaluation by the property. Use this rating to help choose your stay! 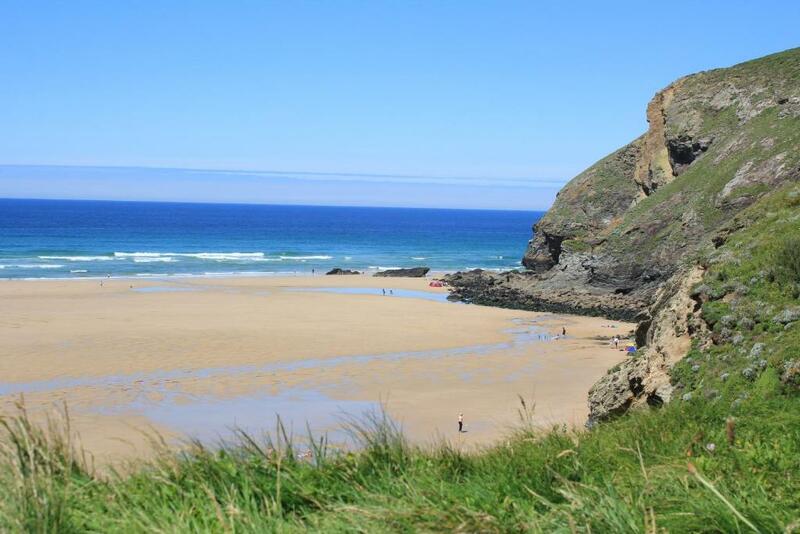 On a rugged cliff side in the Cornish village of Mawgan Porth, Bedruthan Hotel & Spa offers wonderful views across the Atlantic. 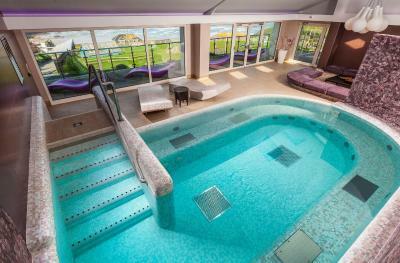 The 4-star boutique hotel has a luxury spa and restaurant. 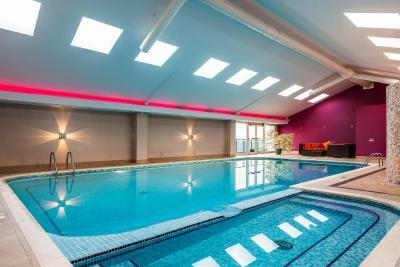 The leisure center features a gym, indoor and outdoor pools, games room and a resident surf instructor. 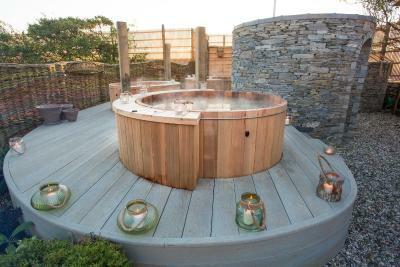 Guests can relax in the adults-only thermal suite with a sauna, hot tub and steam room. 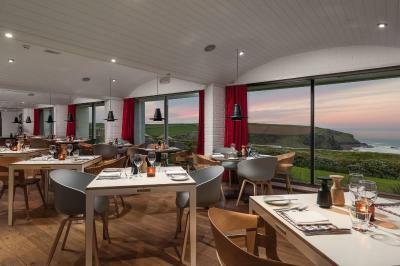 The award-winning Herring Restaurant serves modern Cornish cuisine, featuring quality local produce. 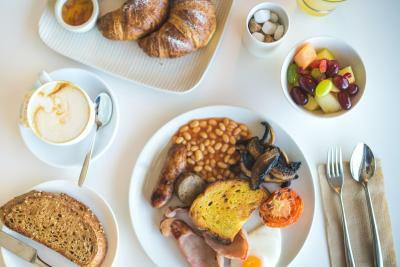 Wild Café offers a range of popular dishes, from colorful tapas to traditional favorites. 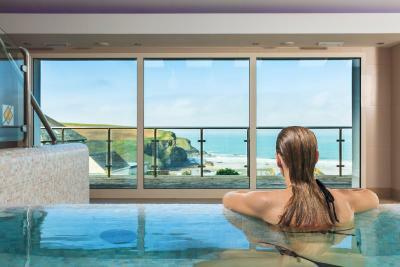 The family-owned Bedruthan Hotel & Spa is located between Newquay and Padstow. Free on-site parking is available, and Merlin Golf Club and Driving Range is 5 minutes away by car. 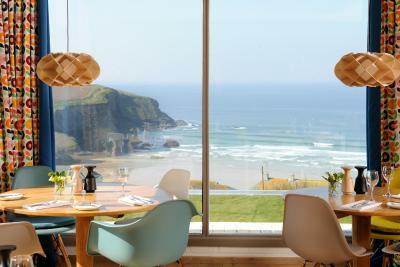 When would you like to stay at Bedruthan Hotel & Spa? This room features countryside views and a private bathroom. Also includes a TV and a fridge. This room features an private bathroom, a TV and a fridge. 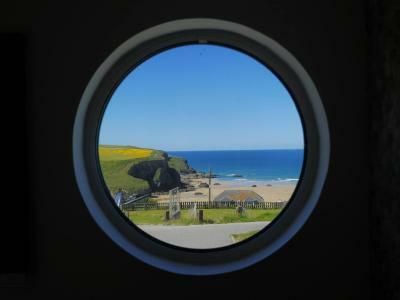 These are rear facing rooms and do not have a sea view. This room features a private bathroom, a TV and a fridge. 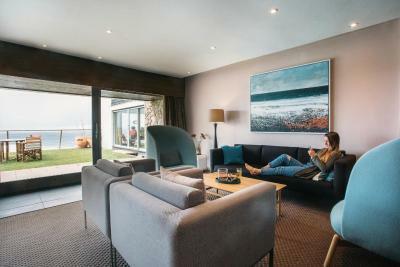 This room features views of the Atlantic Ocean as well as a TV and an private bathroom. A partial divider allows some privacy between adults and children. Rate based on 2 adults. 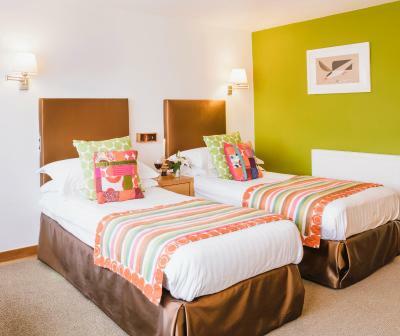 Children will be charged as per the Extra Bed Policy. 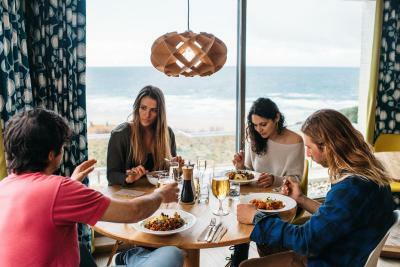 House Rules Bedruthan Hotel & Spa takes special requests – add in the next step! 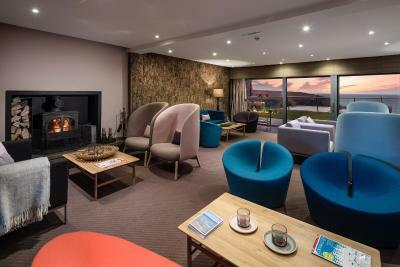 Bedruthan Hotel &amp; Spa accepts these cards and reserves the right to temporarily hold an amount prior to arrival. Bedruthan Hotel & Spa accepts these cards and reserves the right to temporarily hold an amount prior to arrival. Would have liked a small iron/board in my room. Room very small for the money. Felt rushed by staff in restaurant to leave when I was still finishing my drink had bill thrust in front of me and two different people chasing to sign and one asking if I know how to fill it out?? After I politely declined dessert and hadn’t signed the bill (That I hadn’t asked for yet as I was considering having another drink) Last member of staff asked “are you staying or going”?? Some training on best choice of words when talking to customers may be required! Wasn’t happy about that last comment at all. I think this is an excellent spot for kids and families. If you are looking for a family break this is a great place to be. Prices for dinner set menu were very expensive, rooms were very small and parking was difficult. Spa area was great and saved my stay. Everything. Views, food, buildings, spa, staff all amazing. Not enough plain dishes and smaller portions on offer. The friendly staff, good amenities, views,ambiance, decor . The outside pools were too cold as the outside temperature had dropped - but we braved it anyway!